Ringworm and mange are two of the commonest ailments that I have to treat in the hedgehog hospital. They can make the poor hedgehogs look super ugly and can take weeks, if not months, to cure. Hedgehog with severe ringworm and mange. Ringworm often starts on the nose area and can be the most persistent in this area. He has also lost fur. Ringworm is caused by a fungal infection. Many hedgehogs will carry this fungus without showing any symptoms. Other illnesses and the stress of captivity can often cause it to develop and it is vital to be constantly vigilant for the signs. A hedgehog that has been doing fine in captivity may suddenly develop ringworm later on. Ringworm varies in severity from a mild crusting around the nose to large scabbed areas and complete fur and spine loss. Mange is caused by mange mites which burrow into the skin. It causes a white powder on the skin, often accompanied by fur loss. Ringworm and mange often appear together and I always treat for both simultaneously. If caught early, the spread of both ringworm and mange can sometimes be stopped. If not, it can take many weeks or months of treatments to clear. Fur and spine loss due to ringworm and mange. The fur has also been lost from the feet, which would normally be brown. Mange mites can sometimes be seen by the naked eye. A skin sample tested under the microscope may also show mange mites. See pic above. A skin culture may be sent for testing via a vet. This is often required in severe cases, where there may also be other potential skin conditions. There are lots of different treatments available for ringworm and many rescues will select their personally preferred option. I use an anti-fungal treatment called Imaverol for cattle to bathe the hedgehog, with the frequency varying according to the severity of the condition. Alongside this, I use human athlete’s foot creams, brushed onto the skin gently with a toothbrush. Tea tree cream (Thursday’s Plantation) can also be used effectively in mild cases. Vetericyn spray is also good for mild skin conditions, including ringworm. Mange mites are treated by topical or injected ivermectin, available from a vet. The treatment can take a long time and it is vital to continually remove crusty flakes to ensure that the treatments can get right down into the deeper layers of the skin. Ringworm can become resistant over time and so I alternate between a number of different treatments. Eventually, the fur and spines will regrow. I find that they often grow back even thicker than before, leaving a very beautiful hedgehog! You can read Octavia’s story, a hedgehog who recovered from ringworm and mange, here. Ringworm in particular can be very debilitating for a hedgehog, especially if they are also suffering from other illnesses. I add a vitamin supplement with zinc to their diet to assist with the growth of new fur and spines. It is vital to maintain the highest standards of hygiene throughout treatment. Ringworm and mange can both spread to humans and between hedgehogs in the rescue. Gloves must be worn and washed between hedgehogs. All bedding must be washed separately and any chance of cross-contamination between hedgehogs eliminated. Hutches used for infected hedgehogs must be thoroughly cleaned out following treatment. I run a hedgehog hospital in York. My work is entirely self-funded. You can read more about me and my work here and also how to support it. I am a member of many wild hedgehog rehabilitation forums and I also follow the Vale Wildlife Hospital protocols for treating hedgehogs. 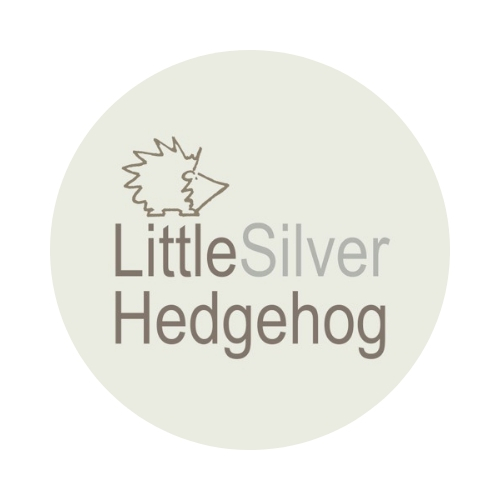 I don’t put detailed information on my pages about the treatments I use but, if you are a hedgehog rehabilitator and would like to know more or would like any help please contact me. Brilliant big Em. So full of info, Thankyou Em.